French whisky? Not only does it exist but one distillery in Brittany is making a whisky that is unique. Renowned whisky connoisseur Dominic Roskrow paid a visit. Whisky is very fashionable at the moment and as the biggest whisky producers chase vast profits in South America, South East Asia, Russia, China and India, new and smaller distilleries are popping up all the time. Barely a week passes without the emergence of a new whisky-producing nation, and it’s become the norm to hear of whisky from England, Wales, Australia and Sweden. But France? Surely some mistake? So dominant has the country’s fermented and distilled grape industry been that it comes as a surprise to some that there are long and established traditions of making beers and alcoholic apple products across Normandy and Brittany. And it’s true of whisky too. France not only makes whisky but is emerging as a serious whisky-producing nation with four whisky producers, three of them in Brittany. All of them have something special and different to offer but one stands apart because it makes a whisky that is unlike anything else in the world. 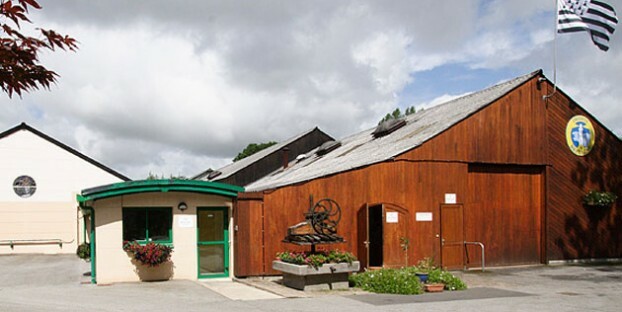 Distillerie des Menhirs – named after the standing stones just outside the distillery – lies to the west of Brittany close to Quimper. What makes it different to any other distillery is that it makes its whisky with buckwheat and not with malted barley. This is not without controversy. The laws governing the production of whisky state that it must be made with just grain, yeast and water. Buckwheat – known as blé noir in French or black wheat in English – is, strictly speaking, a pulse and not a grain. But as the translation implies, France does not make the distinction here. And buckwheat is an adopted member of the grain family, certainly in Brittany where it serves the same purpose as grain. You don’t have to spend very long with the LeLay family to realise that they are not trying to cut corners in whisky production and nor are they any less serious than their whisky cousins in Scotland, Ireland and Wales. Not that the distillery is a conventional one. The still is housed in a large warehouse that is littered with historic distilling equipment, including one of the many mobile stills that once toured the regions of France distilling grapes, apples and occasionally grain. The main still is an odd one too, built in Cognac where the LeLays turned for advice in the first place. The result is a truly unique whisky, one made like no other anywhere in the world.